Our Way to Stay Connected! Zoomtastic is the birth child of our Virtual Live Tribe. After our first gathering five years ago we were all feeling so bitter sweet. Wishing we could stay with our new friends and connections as we started our treks homeward. We began the Virtual Live Tribe as a way to virtually meet with one another on a regular basis. Wonderful friendships flourished and connections maintained all year long till we met again. Since then, the ebb and flow of lives took hold and regularity shifted. After this recent gathering it was a wonderful decision to have a community spot for ALL ages to stay connected with their new friends, and thus Zoomtastic was born! 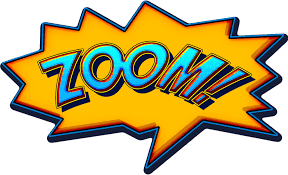 Unschooling NOW hosts a Zoom platform that is open to all conference attendees. Each family put in $10 to the platform fees, and thus if you are new to the gathering, you would put in the same amount to cover the costs for the whole year for the whole family. The outlet is for parents meetings, moms meetings, dads meetings, kids chats, gaming, D&D…. anything desired! Currently there is a book club taking place on a weekly basis! To join now through February 2020, you would pay $10 to unschooling.now.co@gmail.com. If you attend the 2020 conference, Zoomtastic will be included in your registration fee for the year to follow. If you are unable to attend our 2020 gathering, you can re-up your year in March 2020 with a new $10 submission. ANYONE is open to coordinating a meeting/gathering on Zoom! If you have an idea for a meeting, bring it to unschooling.now.co@gmail.com and we will get you scheduled with access to the platform as the host of your meeting! Just a fun and wonderful way to continue the growth that happens at Unschooling NOW!